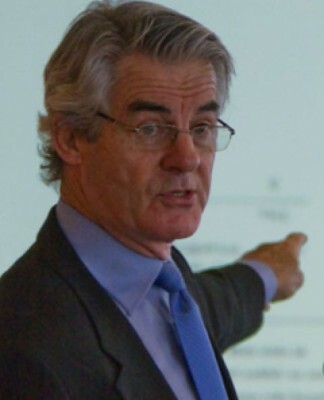 let me help you tap the unique power of narrative. I draw on my experience teaching, acting, music & film producing, screenwriting, and interviewing to help you tell more compelling stories. Listen here. 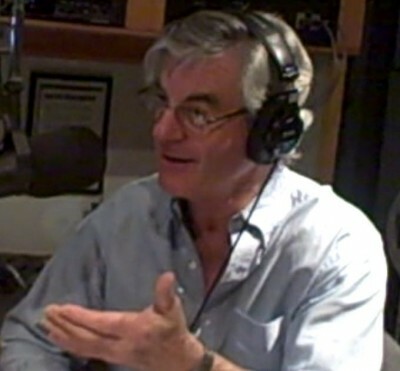 After years of radio interviews seeking A World That Just Might Work, I now produce and host the Disruptive podcast for Harvard’s Wyss Institute for Biologically Inspired Engineering. Let’s explore how we might work together to change the world. 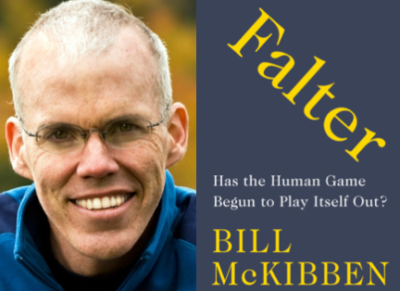 FALTER: Has Human Game Begun to Play Itself Out? 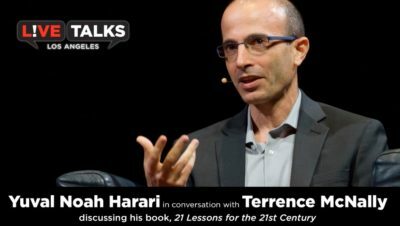 Yuval Noah Harari’s book Sapiens: A Brief History of Humankind has sold over 8 million copies and is currently the #1 selling paperback on the lists of both the LA and New York Times. Bill Gates reviewed his latest book, 21 Lessons for the 21st Century in a recent NYTimes Book Review. 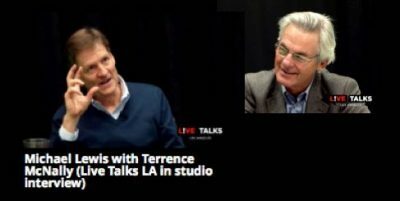 MICHAEL LEWIS’s best-selling THE UNDOING PROJECT tells how the collaborative work of Amos Tversky and Daniel Kahneman revealed previously undiscovered ways our minds fool us. In this podcast, I go solo. Rather than interviewing others, I share with you the best of the work I do to help organizations develop more engaging narratives and tell better stories. Learn why narrative is uniquely powerful as well as the recipe for a good story – whether in a Hollywood screenplay or a one-to-one conversation. CORY DOCTOROW, has a lot to say about human nature, society, and technology. He writes speculative fiction – YA best-seller LITTLE BROTHER, and most recently the novel, WALKAWAY and graphic novel IN REAL LIFE. As a technology expert and activist, he’s co-editor of Boing Boing.net, a special consultant to the Electronic Frontier Foundation, and an MIT Media Lab Research Affiliate. Learn more at craphound.com. I suspect we’ll just scratch the surface. In his newest book, We the People: A Progressive Reading of the Constitution for the 21st Century, ERWIN CHEMERINSKY, Dean of Berkeley Law, makes the case that the right has since the 1970s developed and enacted a clear vision of constitutional interpretation. He calls on progressives to fight back with an alternative vision based on fulfilling the Constitution’s promise of liberty and justice for all. Investigative reporter GREG PALAST (Rolling Stone, Guardian, BBC) has been exposing GOP dirty tricks and voter suppression since 2000. Listen for the latest in the mid-terms in Georgia, Florida, and elsewhere – and how to fight back.